It’s been 2 months to the Sonam Kapoor and Anand Ahuja’s Big Fat Punjabi Wedding and I'm still recovering from it’s hangover. From a cozy mehendi at her place to an official mehendi and sangeet function and the Anand Karaj at her aunt’s place to the grand(er) reception that followed at The Leela, it seems all of it happened yesterday only. 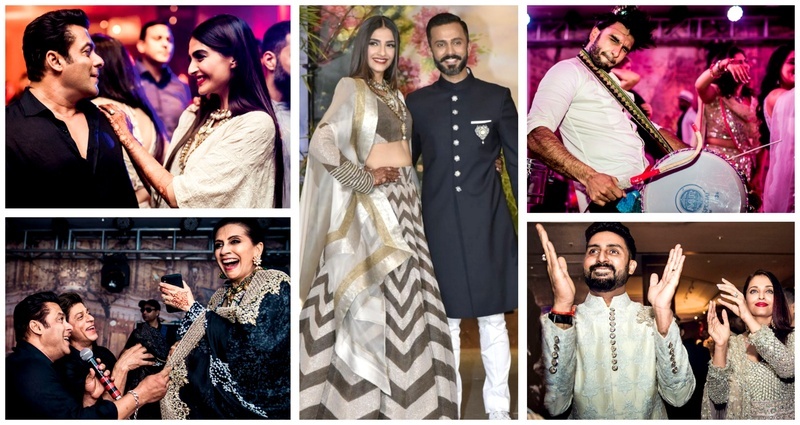 Mrs. Sonam Kapoor Ahuja then flew to Cannes, where she wore the customised Ralph and Russo paired with her mehendi-laden hands and then created a buzz with her post-wedding bash at Natasha Poonawala’s, too. Just when I thought, it’s finally over, she have an exclusive interview about her whole wedding planning process and melted a million hearts with her love story. That made everyone crave for more inside details from the fashionista’s wedding, and she didn’t let anyone down this time too. Well Sonam’s reception sure was one big bollywood party & we can’t wait for the official wedding pictures to come out now!